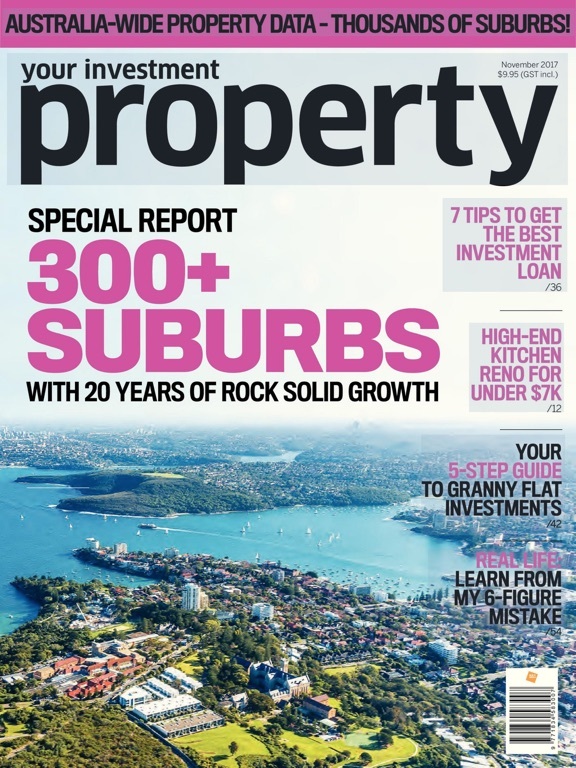 Experience Australia’s leading property investment magazine, Your Investment Property, directly from your iPad. 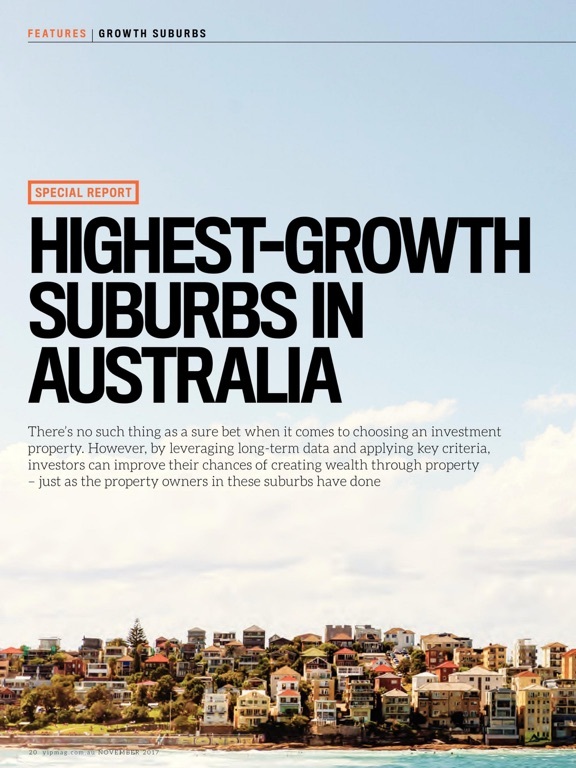 Your Investment Property is a must-read for anyone who is passionate about wealth creation through property investment. 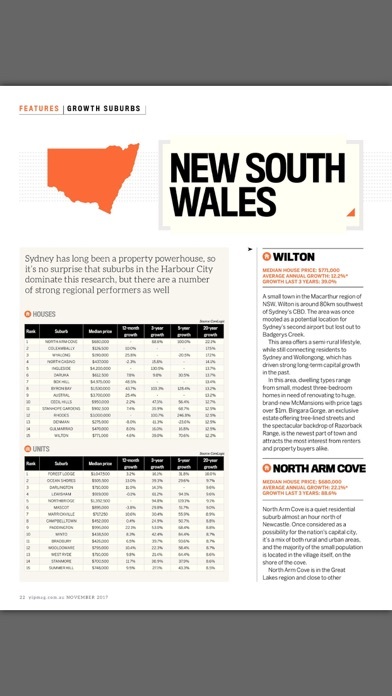 It contains exclusive research data and commentary from Australia’s most respected property researchers and organisations. 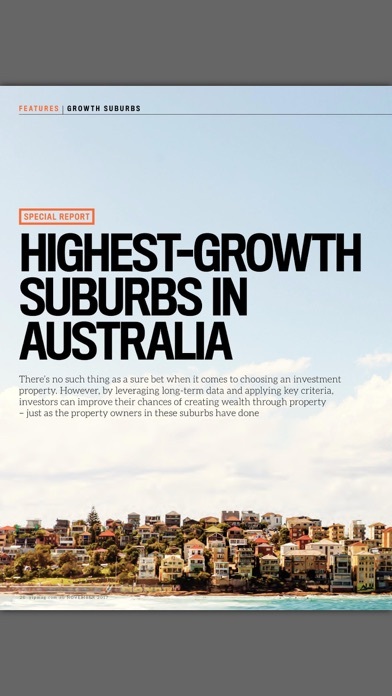 The iPad edition of Your Investment Property features all your favourite articles – covering the latest hot spots, expert tips, market reports and investment strategies. 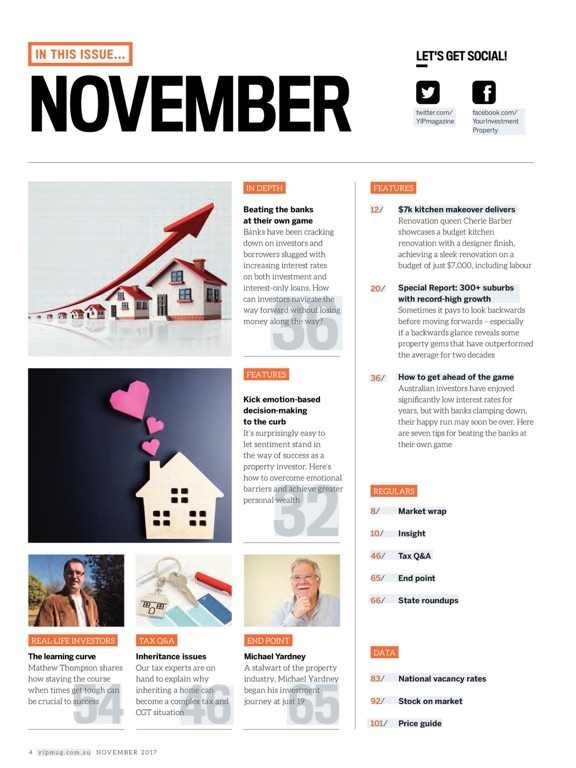 Issues can be bought individually or you can subscribe*. 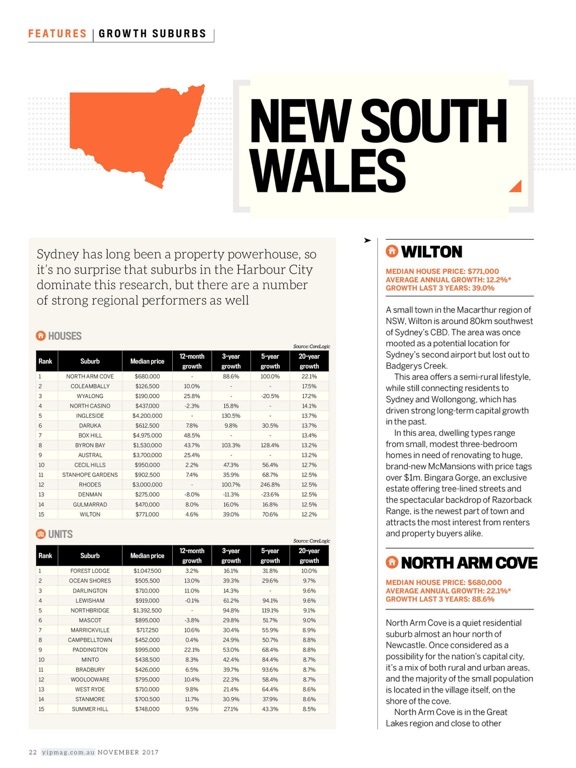 All the property data from the print magazine – the most comprehensive data section in any Australian property magazine. 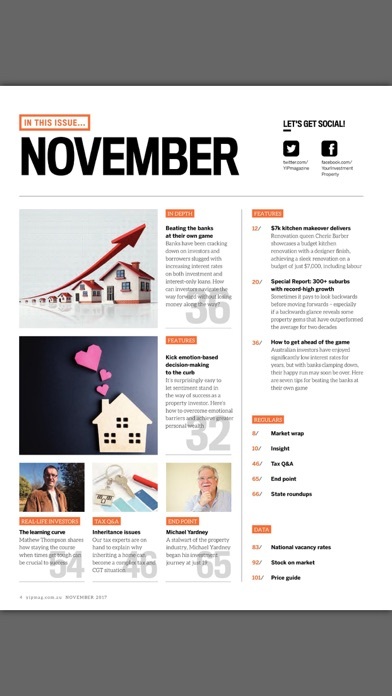 Store downloaded issues in our digital bookcase, so you can read them anywhere, anytime. (a) Content downloaded during a subscription period may not be moved. If you move subscription content to a compatible device and then use the iTunes Service to restore that device, or choose Settings > Reset > Erase all content and settings on that device, the content may be permanently deleted. (b) Once you purchase a (yearly) subscription, you must fully download the available content within that year. Stopping, pausing, or restarting a download of content does not extend the available time for downloading or your subscription period. 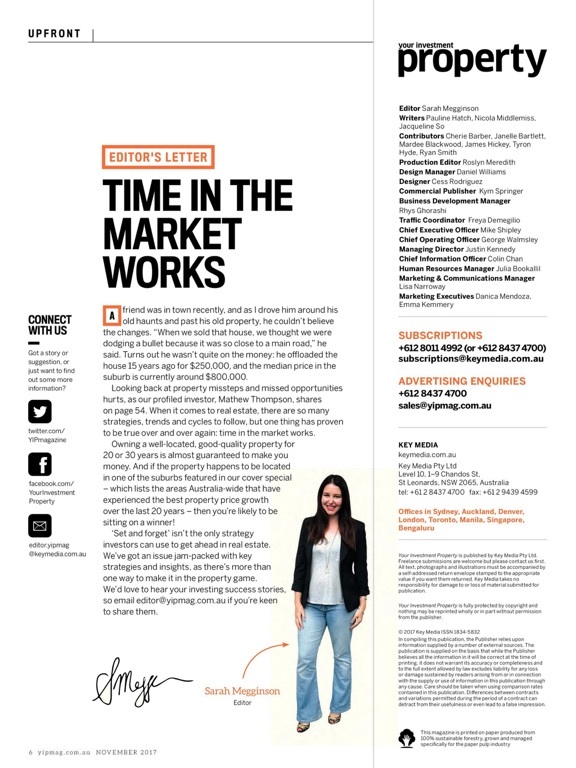 Some Your Investment Property content, including but not limited to magazine editions, may be downloaded only during the subscription period and cannot be replaced if lost for any reason after your subscription period expires. It is your responsibility not to lose, destroy, or damage Your Investment Property content once downloaded, and you may wish to back them up. 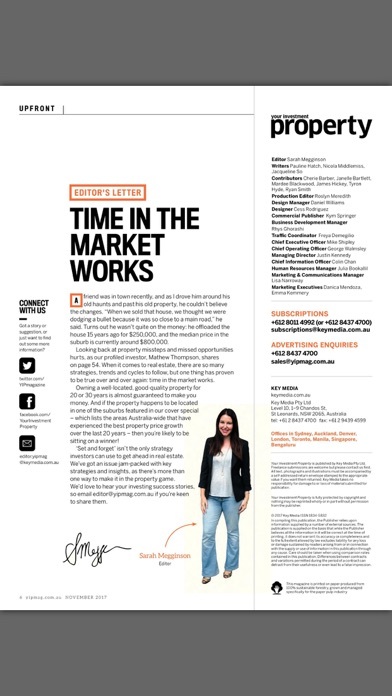 (c) The subscription offer is: one year subscription for AUD$69.99, automatically renewed until cancelled. • You can manage your subscription and turn off the auto-renewal of your subscriptions by going into the Account Settings after purchase of that subscription. Payment will be charged to your Account at confirmation of purchase. Subscription automatically renews unless auto-renew is turned off at least 24-hours before the end of the current period. Account will be charged for renewal within 24-hours prior to the end of the current period, and identify the cost of the renewal. Subscriptions may be managed by you and auto-renewal may be turned off by going to your user's Account Settings after purchase. No cancellation of the current subscription is allowed during active subscription period. 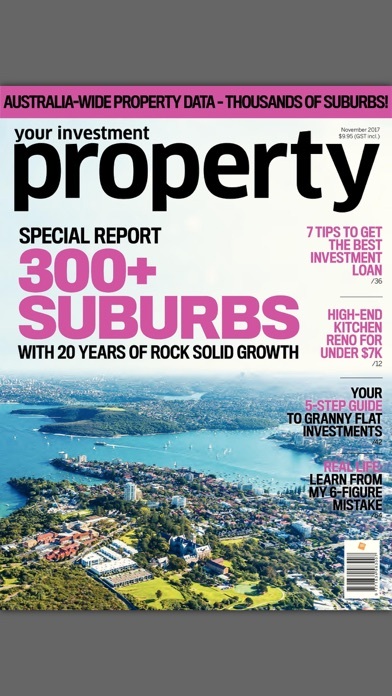 Any unused portion of a free trial period, if offered, will be forfeited when you purchase a subscription to Your Investment Property Magazine.